For the past five years my husband and I have been choosing the more environmentally friendly (and casual) way of traveling. We choose trains over planes whenever we can. The major downside of train travel is that it takes a lot longer to arrive then flying but we enjoy the casual and low-stress environment of the train over the hectic, stressful nature of flying. - Hot water is provides so bring hot chocolate, soups, and tea/coffee. - Blanket: Its way easier to sleep with a blanket in any circumstance but the odd body positions you get into at night require a blanket. 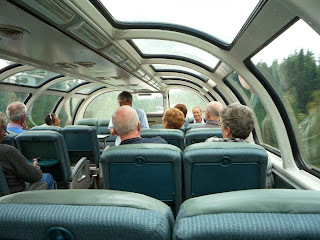 - Utilize the observation car. For some reasons passengers in economy hardly move from their seats. This means that the observation car will be mostly empty making for nice daytime viewing and a place to stretch out at night (if you don’t mind sleeping in the light). Economy is the cheapest option but in all honesty I would recommend upgrading to first class berths. The price difference is that great and you receive all the benefits of first class as well as full bed. Economy is mostly comprised of Canadian travelers while first class is comprised of overseas tourists. This makes first class passengers a lot friendlier and talkative. - Meals are included and there is complimentary coffee/tea/fruit/cookies throughout the day so you won’t starve. Do not choose the middle dinner seating as that seating is the most popular. VIA staff usually host wine/beer tastings during the middle dinner seating as a morale booster to those passengers who have to eat earlier and/or later. - Ask for the entertainment car. This may or may not be the nearest observation car to your room but it will be worth the walk as this car will hold all the party people, the excellent staff, and all of the activities. Activities could include a musician, movies, talks about the local environment, wine/beer tastings, and/or souvenir shopping. - Make the trek down to the Park Car. This car is set up entirely different than the regular observation and activity cars. Have a martini. You’ll feel like Bond and won’t regret it. 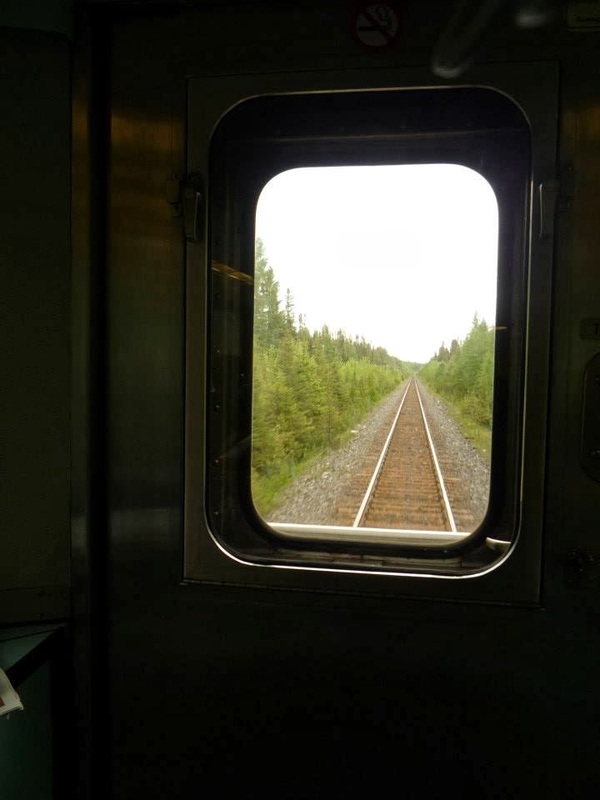 No matter how you travel make sure to register for a FREE VIA rail preference number. You can redeem points for FREE train travel!